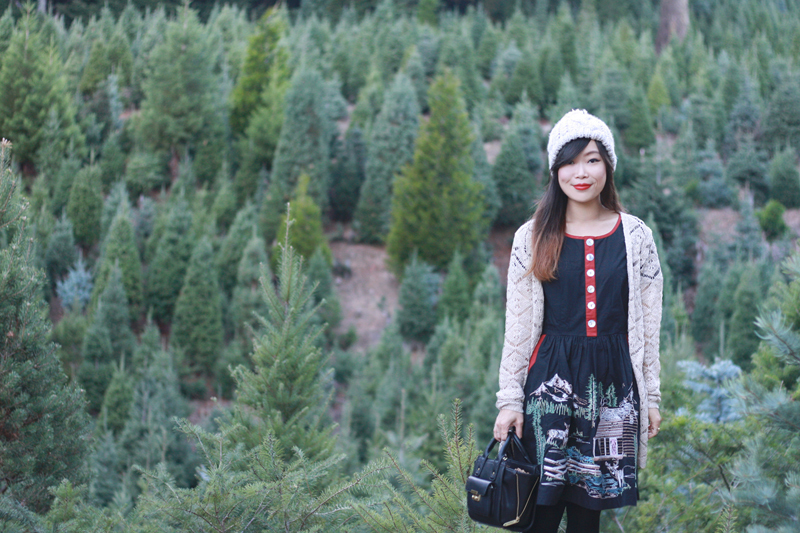 I have never been to a Christmas tree farm until now! I am not talking about just any place where Christmas trees are sold, but a real farm where trees are grown and that you actually saw and cut the tree yourself! It truly is as magical as I would have ever imagined! I have been waiting for the perfect moment to wear this dress by Knitted Dove and this was it! 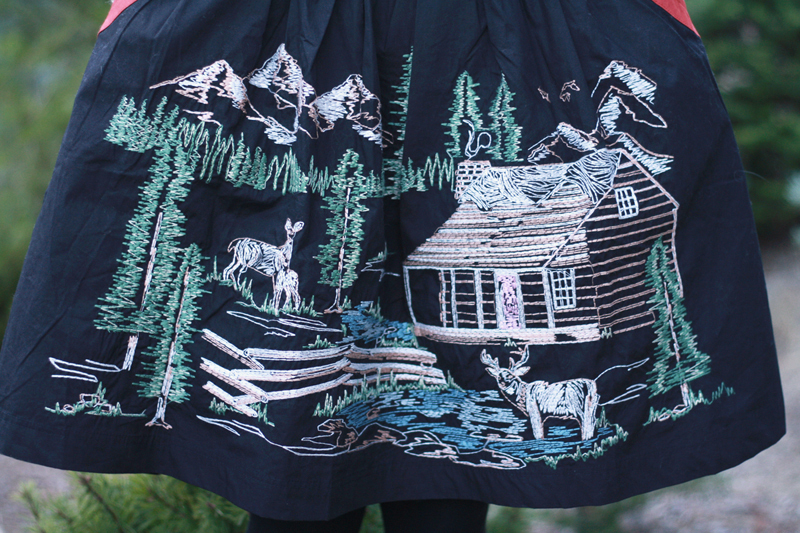 The embroidered wintery scene with mountains, trees, deer, and a cabin is so unique and amazing. I paired it with a pointelle knit sweater from Irene's Story, pom pom beanie, and suede booties from Sole Society. Oh, I couldn't have thought of a better place for this outfit! 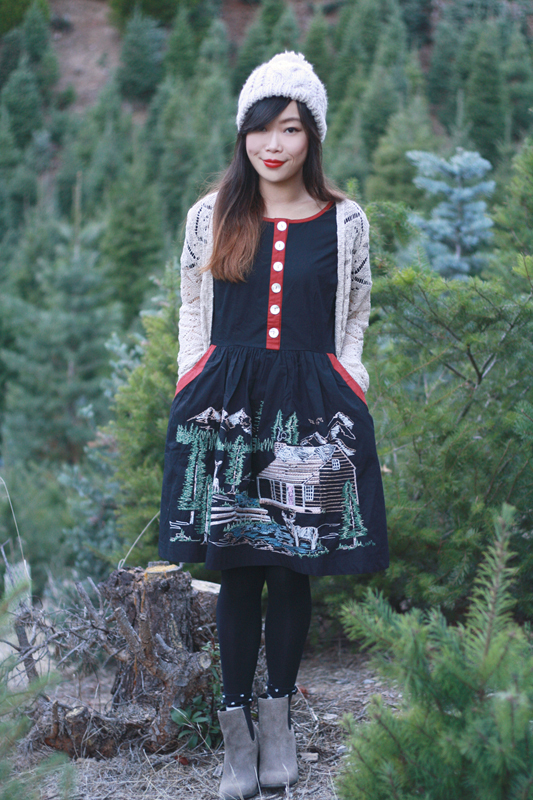 Cabin Fever twill dress c/o Knitted Dove. Pointelle knit crochet sweater c/o Irene's Story. 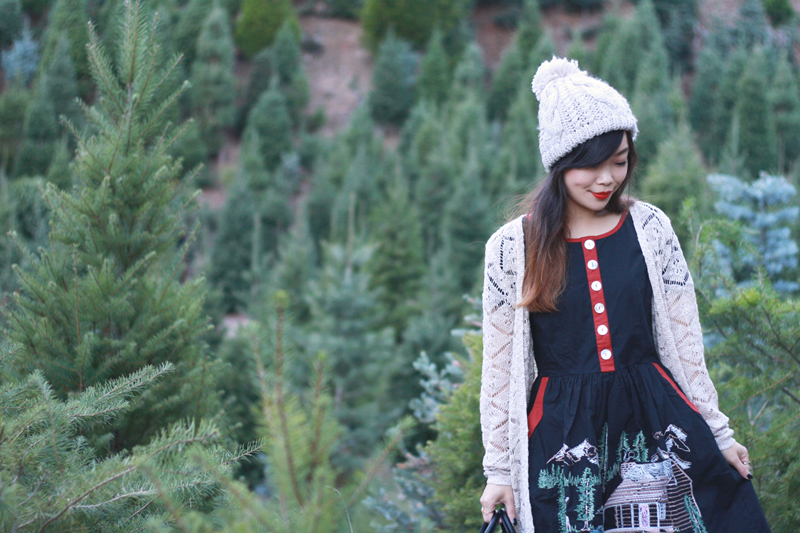 Cable knit pom pom beanie from F21. Super cute dress and booties! Love the embroidery on that skirt! 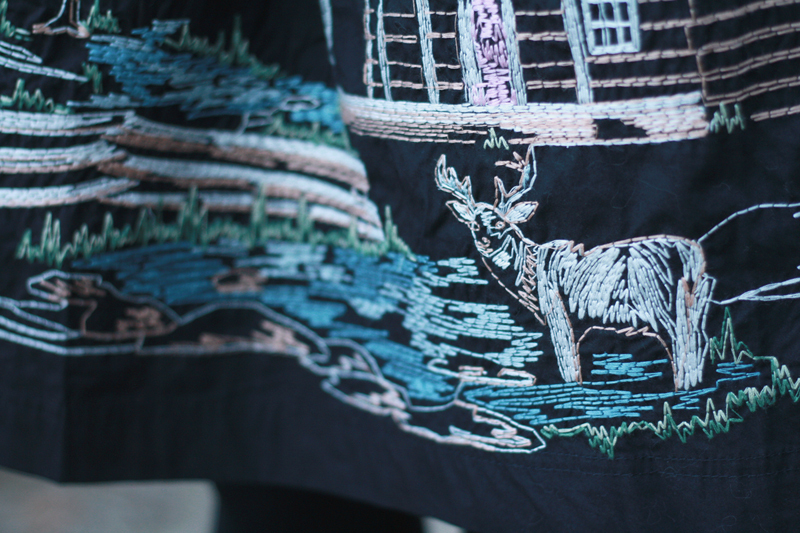 the embroidery is lovely! super cool location, too. :) we just got our Christmas tree a few days ago! 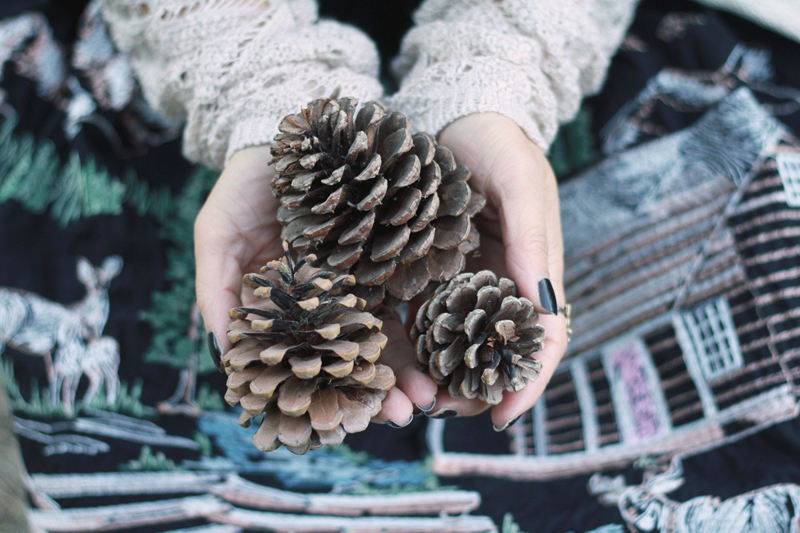 I've never been to a Christmas tree farm either. It looks like it was a pretty place to take pictures. Especially while wearing that awesome cabin dress. 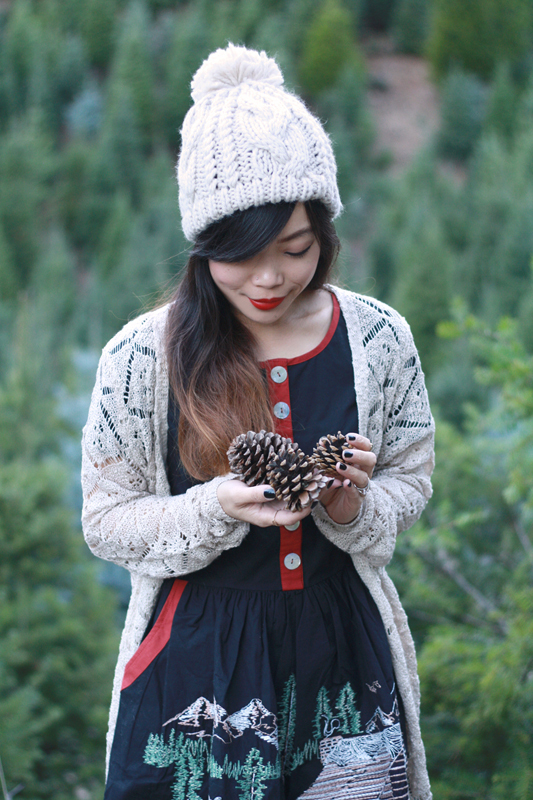 I love the red detailing on it and how cute that cardigan looks with it. That dress is just so perfect - so unique and fun!